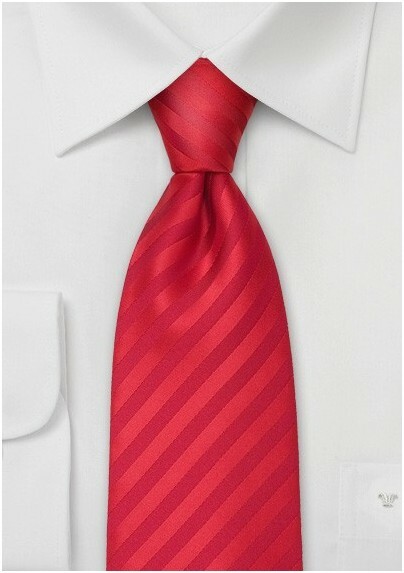 If the solid red necktie is too plain for you then this subtle striped tie might be a perfect alternative. It is a tie that is bright in color and simple in design. It will be a perfect accessory for any suit color. 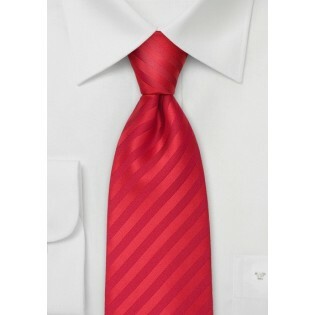 If you like this design then we at Mens-Ties.com also carry it in over a dozen of other colors. This tie is made from a fabric known as microfiber. It is a synthetic textile that is the perfect imitation of silk. It is identical in shine and feel but is also more resistant to stains and wrinkles.